The terror attack in Lahore, Pakistan today shows mundane astrology at work. 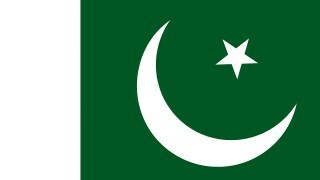 I’m using the independence of Pakistan horoscope, 15 August 1947 in Karachi, with the time of 9:33 am supplied by Star IQ. This mundane horoscope has been used to accurately predict events in Pakistan as shown by Noel Tyl, “We can anticipate the Apex of these ever-so-difficult developments to be October 2009 with tr Saturn conjunct the Ascendant and square the Midheaven” As detailed in Noel’s Forum  the Peshawar market bombing of 28 Oct 2009 occurred with transiting Saturn conjunct the Ascendant by 36′. The Lahore attack today occurred at “1.45 pm local time” Chennaionline]. Transiting Uranus was opposite the Pakistan Ascendant (conjunct the Descendant) by 27′. Uranus explosion and Descendant open enemies. (These transits are precession corrected by 53′). Neptune was opposite the Pakistan Part of Fortune by 53′. This attack is part of a religious war, an attack on a Mosque. The Midheaven was conjunct Pakistan Mars by 11′ and conjunct the Pakistan Midheaven by 46′. The Ascendant was conjunct the Pakistan Ascendant by 41′. These last two transits support the accuracy of the 9:33 am time for the Pakistan chart. This chart for Pakistan definitely looks like a winner, so what does it say about the country? Mars conjunct the Midheaven says this is a military government, and the rulers are military men, correct. Mars and the Midheaven are also conjunct Uranus which says terrorism and explosions are a major issue fot the government, correct. ” Mars: The armed forces and police; violent crime, war, industrial concerns; when associated with Uranus may cause explosions, terrorism” [Mundane Astrology – Wikipedia]. The Ascendant is exactly square the Midheaven putting the very identity of the nation at odds with it’s government and rulers. So very true with the continual struggle for control of power, assassinations and military coups. There is an increased risk or further terrorist activity in the weeks ahead with the 08 June Jupiter Uranus conjunction falling on the Pakistan Descendant by just 10′. That should be the most perilous time ahead. Jupiter and Uranus will then have two more hits to the Descendant and that will be out of the way by April 2011, still dangerous but at least they won’t hit together like they do in a couple of weeks. Saturn has one more pass of the Ascendant on 27 July 2010 which is another danger period. However, the major carnage we saw last year was mainly due to transiting Pluto opposing the Mars and Midheaven. This period saw the injection of 7.5 billion dollars from the USA, followed two days later by a major military offensive by the Pakistani’s on Taliban strongholds in the border regions with Afghanistan. Pluto is retrograding at the moment, but stations direct almost 2 degrees short of opposing the Pakistan Mars. Things should not be as bad long term , the worst from destructive Pluto is be behind this nation. Just got to get through this Jupiter Uranus conjunction on the Descendant. world war III would break out around Indo- Pakistan..
Nice job. I sure hope that the solar eclipse brings some good news. Last year, I believe our mayor was arrested for fraud after a day or two in office during the solar eclipse. And a bunch of rabbis or something were also arrested for selling organs? It was an interesting scene last year. Hi Jamie, I found your article looking for another astrological viewpoint on the floods. I think that your data might be incorrect though, the 9:33 time is sometimes given for the August 14th chart (according to Noel Tyl, but his forum indicates that he does not know the source for that time) – the midnight time is used for the August 15th chart. OK, I see that my notes came from Star IQ and the 8/15/47 chart at 9:33 does resonate strongly with all of these recent events. Sorry to take up your comment space! Hi Lynn, I usually prefer the most recent chart for a nation myself and do like to know exactly how the quoted time came to be. This one just seems to describe the nation better and works well with current events. Transiting Saturn was on the AC when Obama’s massive aid packeage was signed coinciding with the Pakistan military offensive against the Taliban. Recently Saturn again on the AC with Uranus on the DC for the flood. I also like the star Scheat being on the DC. I’m amazed that you are talking about the technicalities of astrology (this house that aspect and blah de blah). Whereas you are ignoring the simple fact that this whole article is based on a fallacy – pakistan was created on 15 August. This is NOT true! this means all the calculations are WRONG! Lets hope that when thesse Jupiter Uranus conjunctions are finished near the Pakistan DC that the bombings also finish! Hilary Clinton is in Pakistan on an ‘unscheduled’ visit, supposedly to quell the repercussions of the Bin Laden assassination (to be blunt) – her Saturn is conjunct the Pakistan Sun (and square her nodes at the south bending, which suggests she is out to manifest something, namely ‘control’) and at the upcoming eclipse her Saturn will be trine the NN, square Venus and quincunx Ceres – can we find a chart for her and look at the implications (as obvious as they may seem even from this small amount of information, I do not believe it is so obvious, especially given the Saturnian element at this eclipse, and I am wondering what is ‘behind’ that agenda) and, those more versed in Pakistani politics, would be interested to know how you see this intervention – it looks astrologically opportunist! Is it stars to decide or time to decide or cruks of the situation to decide or interests to decide or set the future of the pakistan they all r too but the final and decisive decision is to b taken by the people of pakistan to get their solutions fr there faith.